While attention in Washington is focused on Obamacare, and whether or not to repeal it, a pharmacy management company says drug prices need attention too. Express Scripts says rising prescription drug prices are taking a toll on government health programs. It has issued a study urging policymakers to adopt changes that would make it easier to hold down price hikes. "Our country is engaged in an important dialogue about how best to provide millions of Americans with much needed pharmacy care, and how to deliver that care in the most affordable and sustainable way," said Dr. Glen Stettin, chief innovation officer at Express Scripts. He says the company has identified several areas where policymakers should act to curb high prices and wasteful spending. The study found Medicare Part D plans, which provide prescription drug coverage, paid for more of the cost of drugs last year, reducing patients' out-of-pocket costs. It says the average out-of-pocket cost for a 30-day prescription last year was $8.35. Pharmacy spending on Medicaid plans rose 5.5% last year, mainly because of a 4.3% increase in unit costs for drugs. The study attributes that to a combination of brand price inflation and formulary management limitations. The study says drug spending under Obamacare plans jumped 14% in 2016, attributable to both the cost of the drugs and the extent of their use. It notes that people with Obamacare policies tend to use more specialty drugs for chronic diseases, which cost more. The study says specialty drugs accounted for nearly half of all pharmacy spending. At the same time, it found that these Exchange policies were able to limit the out-of-pocket costs to patients. The average out-of-pocket cost for a 30-day prescription last year was just over $12, up slightly from 2015. The study said the price hike for the EpiPen autoinjector also had an impact last year. Spending for young patients on anaphylaxis therapy drugs jumped 18.8%, it said. Mylan Pharmaceutical, which makes the EpiPen, has blamed part of the price hike on pharmacy managers. "While rising drug prices challenged all payers throughout 2016, not all had the flexibility to take needed action," said Stettin. As far as policy recommendations, the study authors say Congress needs to look closely at brand-name biologic medications that have little competition while studying novel new drugs for chronic diseases that come to market and charge "whatever the market will bear." 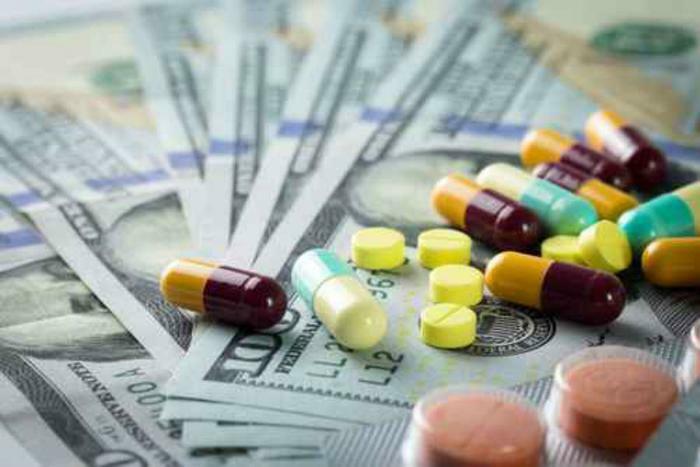 The study also concludes that lawmakers should pay attention to "aggressive" price increases for older drugs that have no competition and the abuse of Food and Drug Administration incentives to squash competition.